YOUR ORAL HEALTH is the number one priority of our exclusive network of dentists. Sinus Lifting Surgery is a relatively common form of oral plastic surgery that is aimed to heighten the maxillary bone for additional reconstructive work, such as dental implants. The maxillary sinuses are located behind the cheekbones and run from under the eyes to the area just above the upper back teeth. A sinus lift adds bone to your upper jaw in the area of your molars and premolars to make room for the bone, the sinus membrane has to be moved upward — or lifted. Sinus Lifting Surgery is performed by highly trained and experienced teams of oral and maxillofacial surgeons or a periodontist. 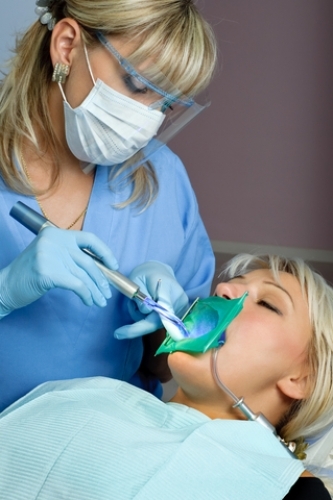 The goal is to with each patient is to fully restore dental function and a beautiful smile. Individuals who have lost teeth in their upper jaw — particularly the back teeth, or molars — who do not have enough bone for implants to be placed. Bone may have been lost because of gum disease. Tooth loss may have led to a loss of bone as well. If teeth have been missing for a long time, there often is not enough bone left to place implants. The maxillary sinus may be too close to the upper jaw for implants to be placed. The shape and the size of this sinus varies and can get larger as you age. The periodontal surgeon enters the sinus from the location of the missing upper tooth or teeth. The sinus membrane is then gently manipulated upward after which a bone grafting material is placed at the base of the sinus. When there is sufficient bone present between the jaw and the bottom of the sinus the periodontist can proceed immediately to placing a dental implant. If there is not enough bone available before healing then further work in the area must wait until the bone and any bone grafting material placed there have thoroughly integrated. Complete and successful healing may take several months and will depend on the age and health of the patient. When the periodontist determines that the bone is sufficiently healed and permanently attached to the floor of the sinus then the process of placing dental implants can proceed.